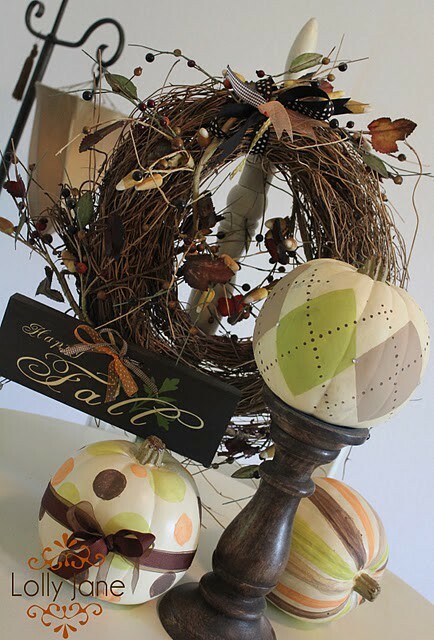 Fall is here–officially here! The weather man said so. 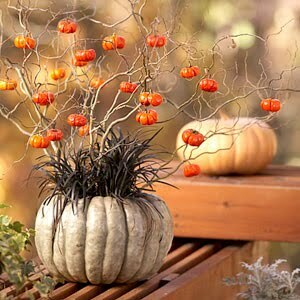 While I’m sipping on my Pumpkin Spice Latte, I’m gathering ideas to create fun pumpkin decor for my front porch or on my dinning room table. 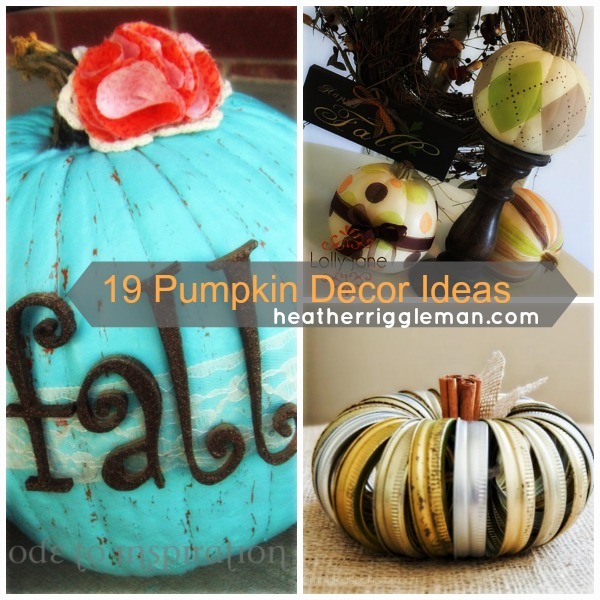 Here are 19 DIY decor ideas I’ve collected and can’t wait to try a few of them. These are simple, elegant and make decorting the home FUN. 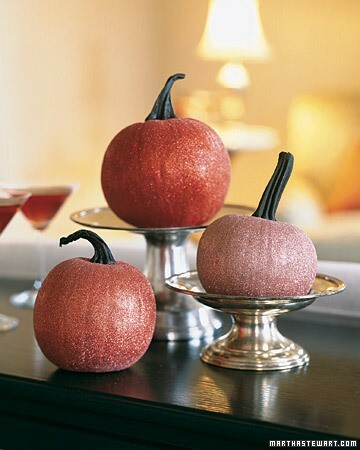 Glittered pumpkins are all the rage this year–just ask Martha Stewart. 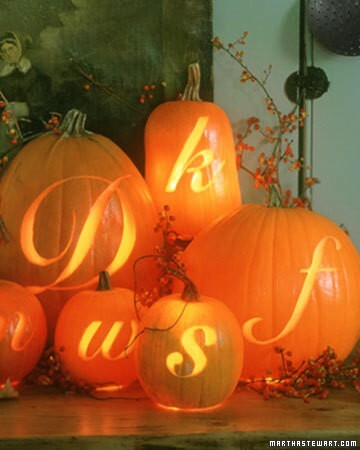 Of course, there is the traditional monogramed glowing pumpkins too. 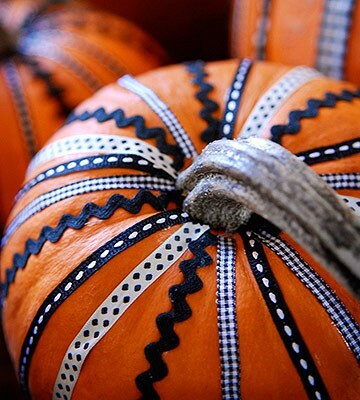 Beautiful ribbon trimmed pumpkins from Good Housekeeping! 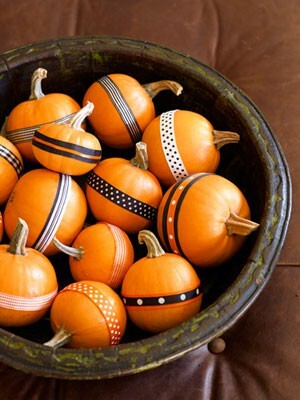 Love the argyle on these cute pumpkins. 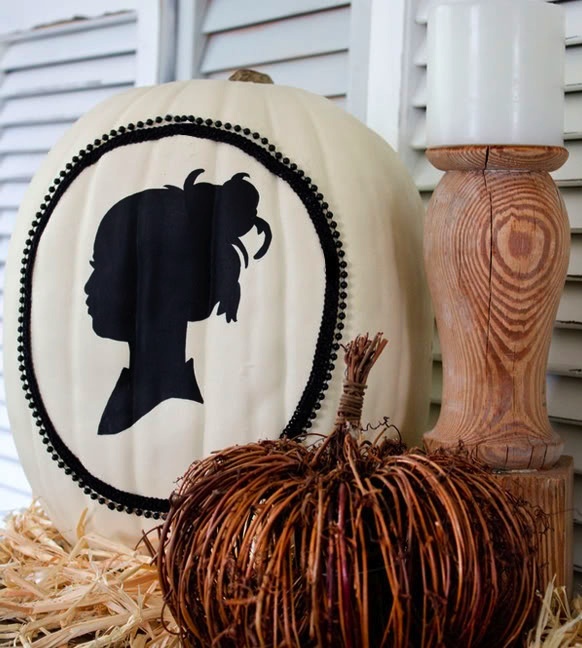 Handpainted pumpkins from Lolly Jane Boutique. This one would be a simple project that even my kids could do. 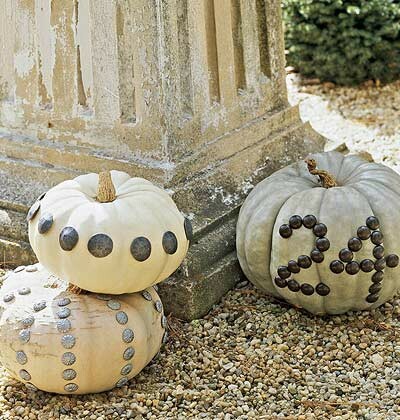 Nail head trim decorated pumpkins. More ribbon. 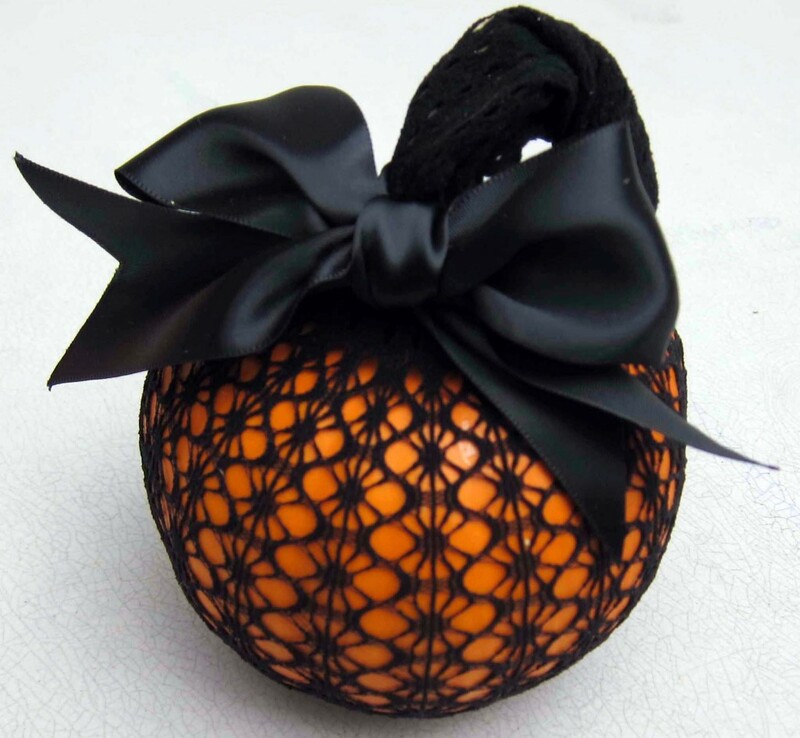 Another ribbon decorated pumpkin. I saw this idea last year, it is so midwest–I LOVE it. 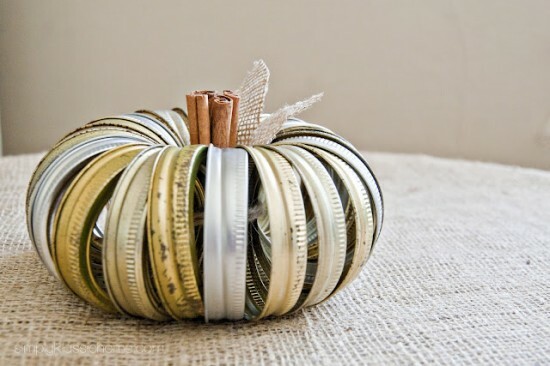 This canning jar ring pumpkin from Simply Klassic Home! 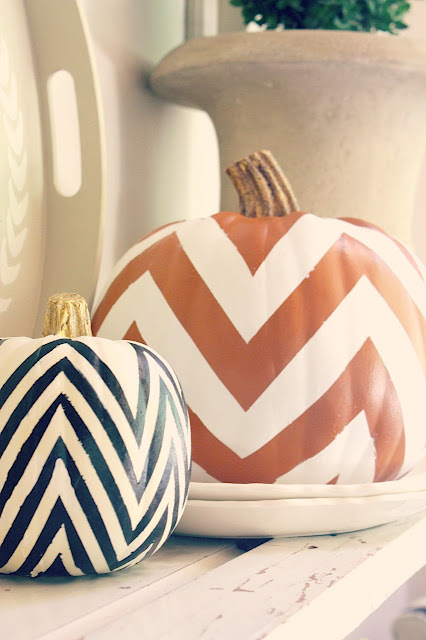 The cheveron is making waves even in pumpkin decor! These painted pumpkins are from My Sweet Savannah. 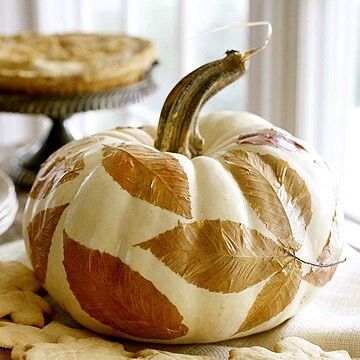 Pretty decoupaged leaf pumpkins – so cute! Trying these as a centerpiece for our Thanksgiving meal. 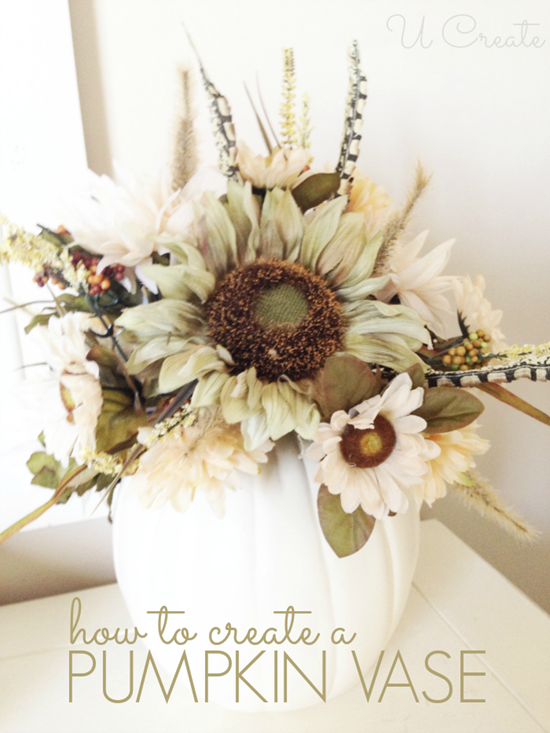 Pumpkin Vase by U-Create Crafts. My favorite idea of them all. This pretty blue with lace from Ode to Inspiration. 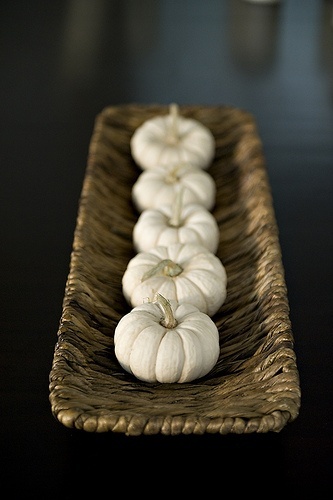 If all my pumpkin decor attempts end up on my Pinterest Fail Boards, I may resort to simple but elegant. 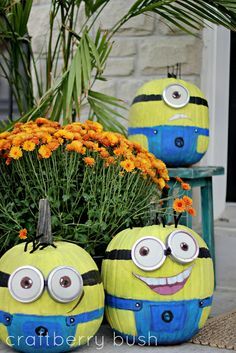 Cute and simple pumpkins from Seasons of Joy. 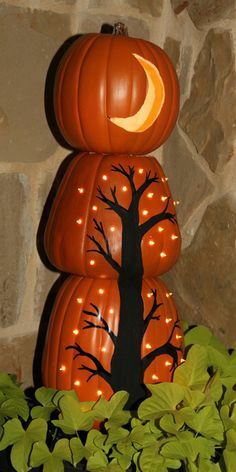 Silhouette Pumpkin from It’s Overflowing. 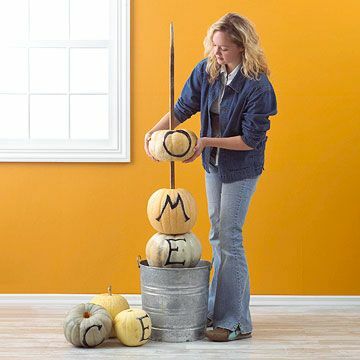 Stacked picture pumpkin from Home Savvy. My kids are over the moon to make these. I think I’ll draw the basic outline first and let them go to town. Visit 36th Avenue. Or maybe, we can make a welcome sign on our front porch. Better Home & Garden. LOVE this one! 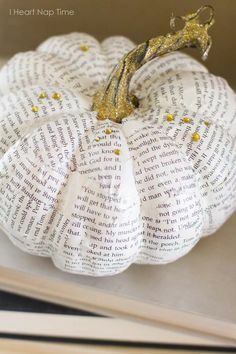 As a word lover, I like the idea of wrapping old pages around a pumpkin. Visit I Heart Naptime. And this is the easiest idea yet–pantyhose from Green Moxie. 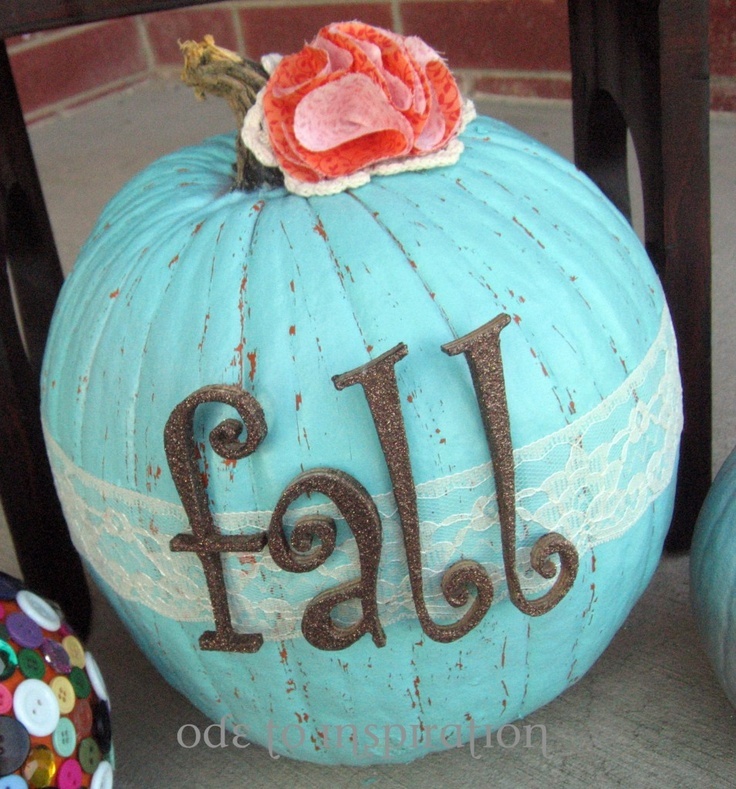 Thanks bunches for sharing my turquoise pumpkin!! So honored that it’s your favorite! 😀 I hope you have an awesome week! Your welcome. I’m so glad someone out there is crafty–because I’m not. I need an idea to follow.